After renders of Meizu 15 Plus appeared earlier this week, now a smaller version called Meizu 15 popped up. 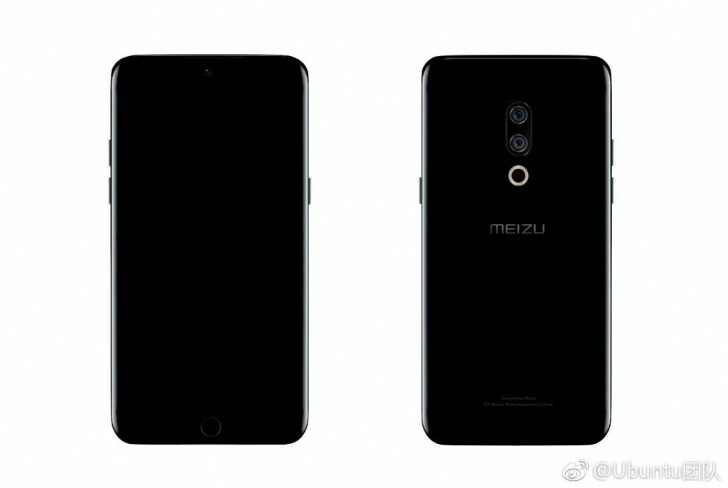 It seems to be similar to what the images suggested - vertical dual-cam setup on the back with phase detection and laser autofocus and a 10-LED flash, first implemented in the Meizu Pro 6 Plus. On the front, we see a display, curved on both edges like the Galaxy S7 edge and the Galaxy S8 duo. There is also an Apple-like circular fingerprint scanner in the bottom bezel which might bring back the mBack button that got scrapped for a touch-screen Super mBack in the Meizu M6s. Meizu 15 and the bigger Meizu 15 Plus are expected to arrive next month to celebrate the 15th anniversary of the Chinese company. Some rumors suggested a prices between CNY2,999 and CNY3,499 (between $450 and $530). Nice phone, but I don't live in China so I don't have access to one. I personally prefer the iPhone looking devices Meizu produces, but I've never owned one. i think its just another fake render. marketing gimmick.